patients by promoting professional and successful orthodontic practice. well-managed society of education and advocacy for its membership. Welcome and thank you for visiting our website! The Indiana Association of Orthodontists is dedicated to providing our members with the personalized attention that you deserve. Part of the IAO’s commitment to serving serving our members includes providing them with up-to-date information that helps them to make more informed decisions about how to take advantage of the member benifits and services available to them. This website is a resource we hope you’ll find both useful and interesting. We genuinely hope this site is helpful to you in learning more about the Indiana Association of Orthodontists. Please browse through our website and be sure to give us a call if you have any questions about the products and benifits available or would like more information about signing up to become an IAO member. 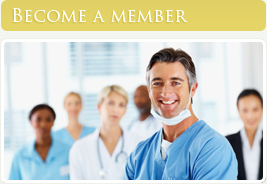 Enjoy the benefits of being a part of Indiana’s Orthodontic Community. Please join us at the 2017 Indiana Association of Orthodontists meeting on May 20, 2017. This meeting will be held at the Indiana University School of Dentistry, RM 114. The speaker will be Larry Oxenham of the American Society for Asset Protection. The subject will be “Improved Patient Care through Lawsuit Protection and Prevention for Orthodontists”. The registration fee will be $25. More information will be available soon! Consumer Alert: The American Association of Orthodontists is urging consumers to beware of Internet videos and websites which encourage people to try and straighten their own teeth. Moving teeth is a medical procedure and needs personal supervision by an orthodontist. Please be wary of any suggestions to move teeth with rubber bands, dental floss, or other objects ordered on the Internet. Moving teeth without a thorough examination of the overall health of the teeth and gums could result in the permanent loss of teeth, which may result in expensive and lifelong dental problems. Orthodontists receive two to three years of specialized education beyond dental school and are specialists in straightening teeth and aligning the bite.